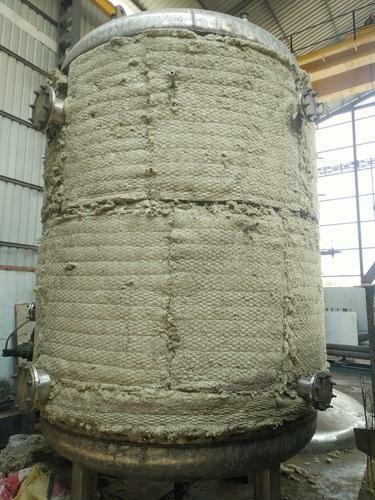 We are manufacturer of Chemical Reactors. Established in the year 2012, we, “ KARADANI ENGINEERING PRIVATE LIMITED ” are widely recognized an one of the reputed manufacturer, supplierand exporter of premium quality array of Autoclave Unit, Rubber Reclaim Autoclave, Rotary Autoclave Unit, Rotary Autoclave Unit For Rubber Reclamation, Horizontal High Pressure Autoclave, High Pressure Autoclave, Rubber Vulcanizing Autoclave, Rotary Autoclave, Hydraulic Power Pack, M.S. Reactors, High Pressure Reactors, Chemical Reactors, Jacketed Reactors, Process Reactors, S.S. Reactors, Chemical Process Reactors, Limpet Reactors, Mild Steel Reactors, Limpet Coil Reactor, Limpet Coil Vessel, Industrial Reactors, Pressure Vessels, SS Pressure Vessels, Mobile Pressure Vessels, Receiver Vessels, Chemical Pressure Vessels, Reaction Vessels, Mixing Vessels, Process Vessels, Cylindrical Vessels, High Pressure Vessels, Low Pressure Vessels, Heavy Duty Pressure Vessels, Reactor Vessel, Vertical Autoclave, Rubber Vulcanizers, Ribbon Blender, Limpeted Reactor, Limpet Coil Vessels, Cryogenic Pressure Vessels, Agitated Reaction Vessels, Jacketed Vessels, MS Pressure Vessels, Reactor Vessels, MS Vessels, Storage Vessels, SS Pressure Vessels, Stainless Steel Reaction Vessels, Steel Vessels, Stainless Steel Pressure Vessels, Liquid Stirring Vessels, Chemical Receiver Vessels, Chemical Vessels, MS Storage Tank, SS Storage Tank, Chemical Storage Tank, Solvent Storage Tank, Chemical Tank, Storage Silo Tank, Low Pressure Storage Tank, Cylindrical Tank, Stainless Steel Storage Tank, Ammonia Receiver Tank, Air Receiver Tank, MS Chemical Tank, Pump Tank, Reaction Tank, Chemical Liquid Tank, Gas Tank, Low Pressure Storage Tank, Ammonia Tank, Cooling Tank, Vacuum Tanks, Pressure Tank, Water Pressure Tank, Stainless Steel Liquid Mixing Tank, Process Tank, High Pressure Receiver Tank, Condensate Tank, High Pressure TankHigh Pressure Air Tank, Industrial Air Tank, Air Tank, Air Tanks. To ensure that our offered products are in-line with established quality standards of the industry, we manufacture these by making use of the high grade raw material, sourced from the trusted vendors. After the completion of the manufacturing process, we check these products by using latest technology so as to ensure their longer service life, less maintenance rust & wear resistance, precise design, fine finish, seamless shine and trouble free performance. Along with this, we are engaged in rendering Fabrication Service. We render Structure Fabrication Service, Induction Furnace Reconditioning Service, M.S. & S.S. Fabrication Service and Induction Coil Reconditioning Service. Offered fabrication services are known for their flexibility, cost-effectiveness and timely execution.